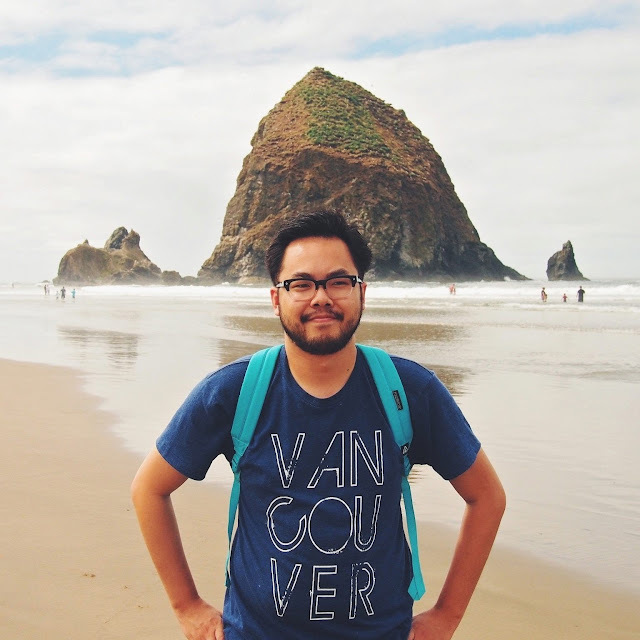 Local digital journalist/community manager/media personality Rick Chung wears his Vancouver pride around town and while away. Here's Rick sporting his Vancouver, we love you shirt at Cannon Beach, Oregon. So, why is Rick a fan of Vancouver? "I love Vancouver. It's my home and oasis. Vancouver is full of so many wonderful and talented people. It's a unique place in its diversity and make up. I like to take a bit of the city wherever I go." Have a photo of yourself in a Vancouver, we love you shirt? Email it to us so we can post it here! To check out more pictures of Rick's trip to Oregon, click here.